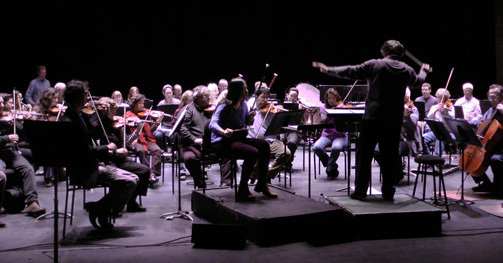 Lan Tung performs Canadian compositions with symphony orchestras. 3 soloists: erhu, zheng and marimba with the symphony. (The zheng part can also be substitued with the western harp). orchestrations: double wind orchestra, double wind without trombone and harp, or string orchestra. Armanini, a native Vancouverite, studied composition with Elliot Weisgarber and piano with Robert Rodgers at UBC, graduating with a MMus. in 1984. In 1990, Mark began composing for various combinations of Oriental and Western instrumentation: the crowning achievement being four concerti recorded with the Latvian National Symphony with Vivian Xia, Heidi Krutzen and the Khac Chi Ensemble as soloists under the direction of John Zoltek, released as Rain in the Forest on the Centredisc’s label. “I wanted to tell you how moved I was by your performance of Mark Armanini’s composition “Heartland”, a concerto for Erhu and orchestra that you played on January 7th here in Halifax with Symphony Nova Scotia. I was particularly impressed with your ability to create an entire universe of expression out of the simple performance of 3 repetitions of the same note. You have a remarkable ability to shape tone, vibrato, and slight pitch variations into an astonishing package of rich, musical colour”. – Jeff Reilly, Producer, CBC Radio.